Do-overs in life; wouldn’t it be nice to be able to go back and re-live a moment in time you would like to either change or find closure for? Saturnine has that chance, thanks to a tech company that claims to take a person back in time to re-live any moment they want, but they do not guarantee you can change the events set in motion, after all, the past is in the past, it is written on the timeline of life, or can it be erased? Saturnine did indeed go back to re-live the night she her boyfriend walked out of her life for good. Many times, but could she find the answers she was looking for? SATURNINE, IN HER HEAD, OUT OF TIME by Ray Hecht may be a short tale, but it packs a punch for young woman living with regrets from the past and the boy she let get away. Mr. Hecht has created a complete and intriguing tale with just a few well- placed words. Entertaining, thought-provoking and fun, I was left wondering what one thing in my life I would like a do-over on until I realized that, nope, I’m good and probably better off not going through my personal Ground Hog Day adventure! 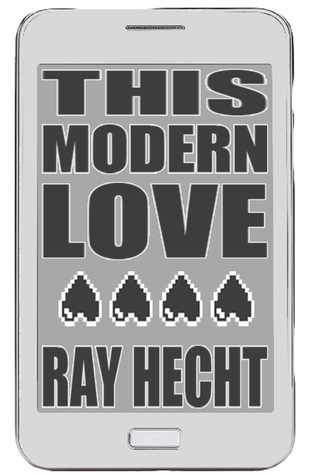 Amazon Giveaway: THIS MODERN LOVE! Enter now for the chance to win one of three hard copies of THIS MODERN LOVE, now as part of a promotion on Amazon. There is a one in one hundred chance of winning. What do you have to lose? Sign up! Tell your friends! And if anyone would be interested in reviewing, I would be happy to send a promotional eBook edition. Email me at rayhecht@gmail.com. 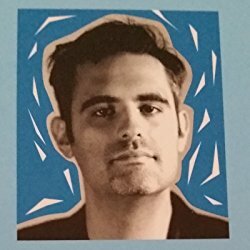 If you are a member of Goodreads.com, please enter my giveaway for the chance to win a free hard copy of my novel THIS MODERN LOVE. 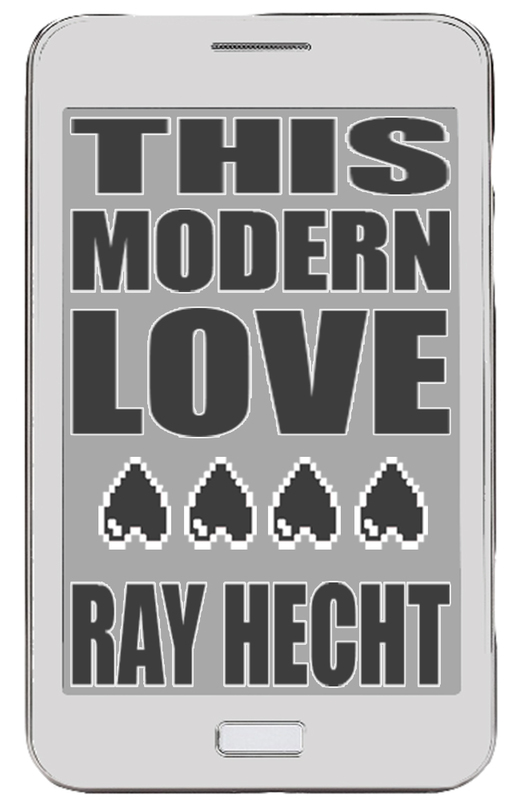 And even if not, email me at rayhecht@gmail.com and there are always eBook editions to be easily distributed. Reviews always appreciated. 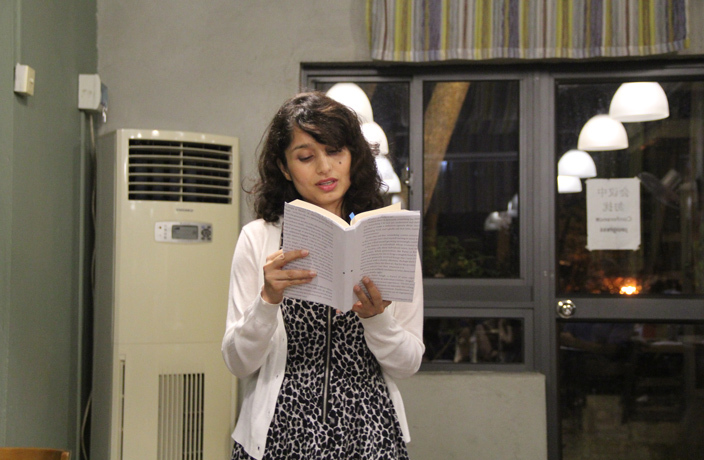 500 words from…is a series of guest posts from authors writing about Asia, or published by Asia-based, or Asia-focused, publishing houses, in which they talk about their latest books. 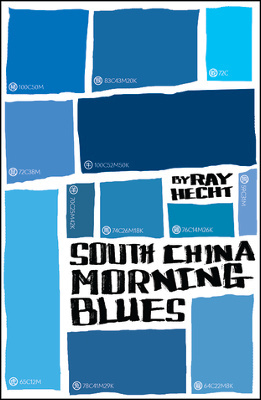 Here Shenzhen-based American Ray Hecht talks about his new novel South China Morning Blues, published by Blacksmith Books based in Hong Kong. Ray’s earlier books were The Ghost of Lotus Mountain Brothel and Loser Parade. 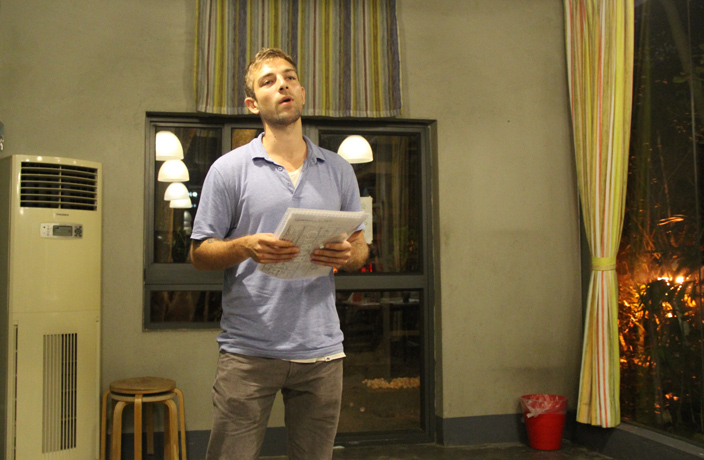 He currently writes for Shenzhen Daily, the only daily English-language newspaper in the south of mainland China. South China is like a giant test tube where ideas and people from all over the world meet. Expats and locals alike must try to make sense of the crazy present, if they are ever going to forge the brilliant future that is China’s ambition. That is precisely what the characters in South China Morning Blues are trying to do. There’s Marco, a crooked businessman with a penchant for call girls; Danny, a culture-shocked young traveller; Sheila, a local club girl caught up in family politics; Amber, a drug-fuelled aspiring model; Terry, an alcoholic journalist; and Ting Ting, an artist with a chip on her shoulder. Their lives intertwine in unexpected ways as they delve deeper into their surroundings and in the process learn more about themselves. I have always been fascinated by China. So when I was invited to move to Shenzhen I jumped at the opportunity. I wanted to learn all I could about this fascinating and strange place. Shenzhen, famed for supposedly having no culture, was a small fishing village until the post-Mao economic reforms. Now, it’s a city with a population that outnumbers New York. And I realised upon arrival that the future of China can be as fascinating as the past; the Special Economic Zone of Shenzhen became an inspiring place to me. 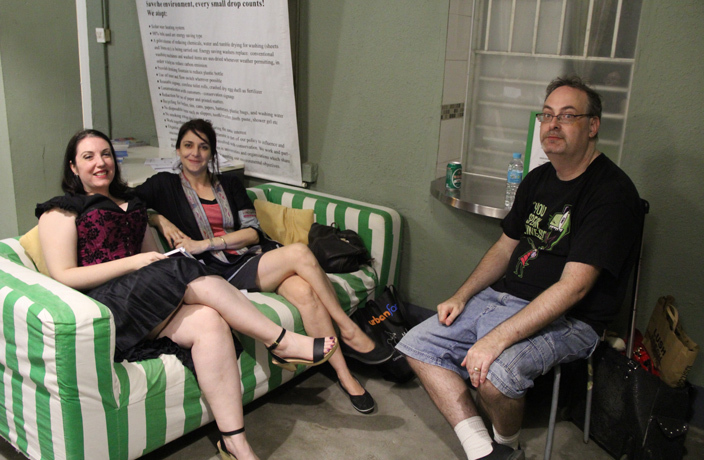 I wanted to write about the expat scene, about all those weird people who drop everything in their lives back in the home country in order to try to make it big abroad. 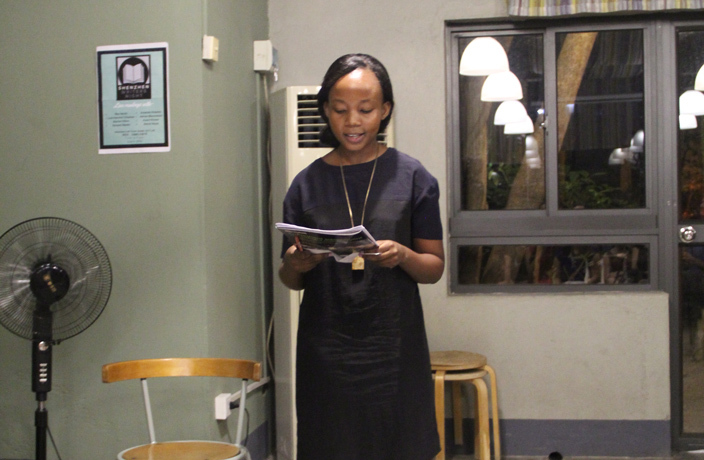 I wanted to write about the local people, about the youth navigating their way through the 21st century while being pushed by their parents in what must be the biggest generation gap ever. I wanted to write about international traders, party girls, English teachers, drug dealers, courtesans, models, artists, people from all over the world who participate in the new global experiment that is South China. Meanwhile, Shenzhen borders Hong Kong, a city that defies definition. In one sense it is under the heel of the mainland People’s Republic, yet in other ways it is sovereign, more like a free Western city. Certainly, it is one of the most international places in the world. For me, whenever Shenzhen got to be too much, I could always hop the border and find English bookstores and uncensored films. Hong Kong was like an alternate reality just across the river. I wanted to write about outsiders visiting this compelling place. Then again, there was the city of Guangzhou. I moved there for a year, to research and better understand this whole Pearl River Delta thing. Guangzhou is even more massive than the other two cities, yet it has an ancient culture which gives it a unique flavour. 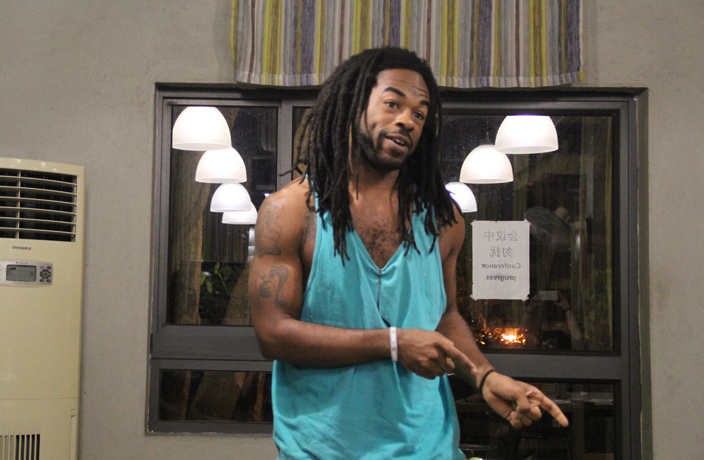 I went to old temples, and I studied the history of revolutions and uprisings. I think I did some of my best writing while living in Guangzhou. 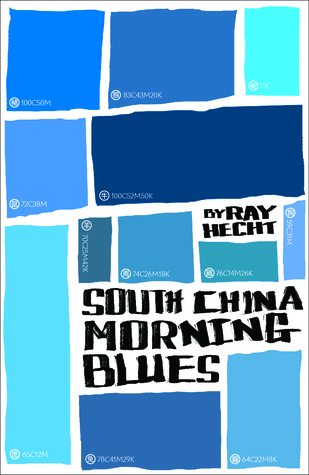 Eventually I had to return to Shenzhen, where I completed my novel South China Morning Blues, which is told through the perspective of 12 characters that each correspond to an animal in the Chinese zodiac. I filtered my various experiences and research and hearsay into stories meant to capture the essence of what modern China represents. It is a confusing place indeed, but a place where people can learn about themselves as well as the city, and China. Writing and publishing this novel has been an amazing journey. 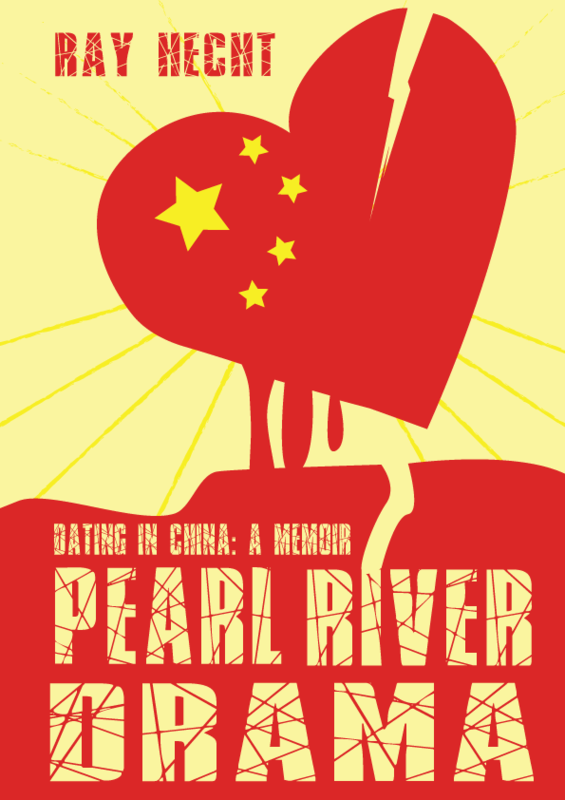 I am still as overwhelmed and confused as ever by South China, but I’ve been very happy that the book has enabled me to share my humble feelings and observations with interested readers from around the world. 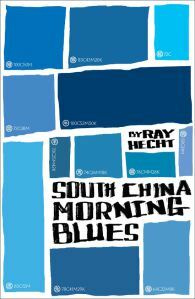 Details: South China Morning Blues is published in paperback by Blacksmith Books, priced in local currencies.